The Manufacturer PR Service is a press release distribution service provider that enables users to share their news and content to their various target audiences. It caters to specific industries, including manufacturing, technology, software, business, policy, finance, logistics, research, and education. In this article, we shared its available pricing options. As of the date this article was written (09/06/18), there are no up-to-date user reviews of The Manufacturer PR Service online. If you are a past or current The Manufacturer PR Service customer, leave a review to help other small business owners who are deciding whether or not to use the company. The Manufacturer PR Service offers two pricing options: £125 + VAT (approx. $170) for 1 press release and £500 + VAT (approx. $850) for 5 press releases. The main difference between the packages is the number of press releases for distribution. *VAT is applicable only in Europe. 5 Best Free Press Release Distribution Services 2018 — Free press release distribution services syndicate your press releases to a network of media outlets at no cost. In this article, we reviewed the five best options based on the size of the distribution network, level of customization, and ease of use. Does The Manufacturer PR Service offer a free trial? There was no mention of a free trial on The Manufacturer PR Service’s website. Interested users can get in touch with the sales team to know more details about its services. Is there a limit to the validity of The Manufacturer PR Service packages? Yes. The Manufacturer PR Service packages are valid for 24 months from the date of purchase. This video provides a brief overview on what The Manufacturer PR Service can do to contribute to the growth and improvement of the manufacturing industry. Not sure if The Manufacturer PR Service is the right fit for you? 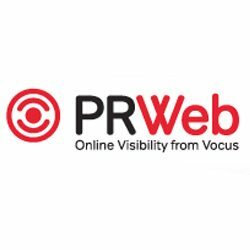 Read our reviews of all top press release service providers or check out one of these three The Manufacturer PR Service alternatives.